Audi’s had some, uh... issues lately with its diesel engines, to put it kindly. And as it and parent company Volkswagen reel from an environmental scandal, the luxury automaker might be looking to burnish its green creds at the Detroit Auto Show next month with a new hydrogen fuel cell SUV concept. Reports from the German media hint that the new Audi Q6 h-tron concept will debut at the show next month, according to Autocar. 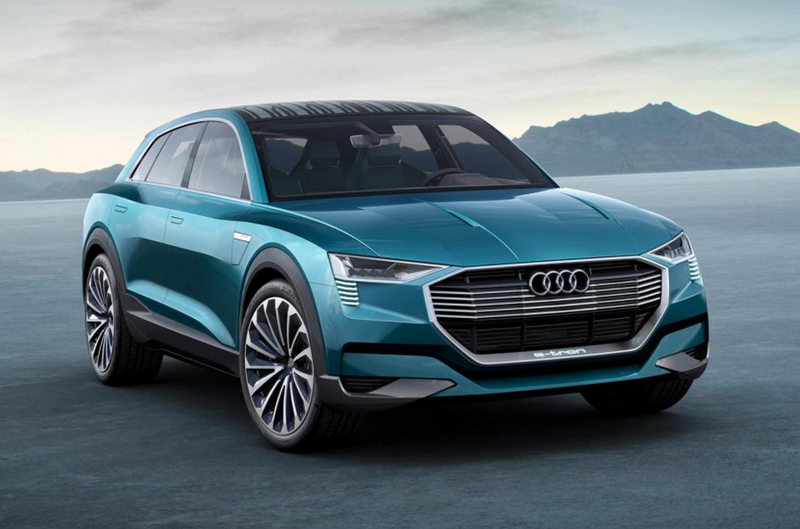 If true, the car would be similar to the all-electric Audi Q6 e-tron quattro concept pictured above and slated to go on sale in 2018. The h-tron will feature a few changes to the exterior and, of course, be powered by fuel cells. Although an Audi spokesman stopped short of revealing the car’s identity, it’s been confirmed that “a concept car with new drive technology” is scheduled to be unveiled at January’s show. Autocar claims the Q6 h-tron will also have a similar zero-emissions driving range to the Q6 e-tron: 311 miles. The car would join competition like the Toyota Mirai, which already has a waitlist, and the Honda FCV in the hydrogen realm, as well as Honda’s widespread (and ambitious) goal to sell practical hydrogen vehicles less than a year from now. The concept wouldn’t be Audi’s first venture into hydrogen power, as the manufacturer brought an A7 h-tron quattro to the LA Auto Show in 2014. Whether or not the Q6 h-tron will show up in Detroit, well—we’ll just have to wait another month to see.